Station Hollywood: The country remembers compassionate actress Nandaji on birth anniversary. The country remembers compassionate actress Nandaji on birth anniversary. The country remembers the great actress Nanda on her birth anniversary on 8th January, 2018. Last year she died and made the viewers of realistic films very sad. 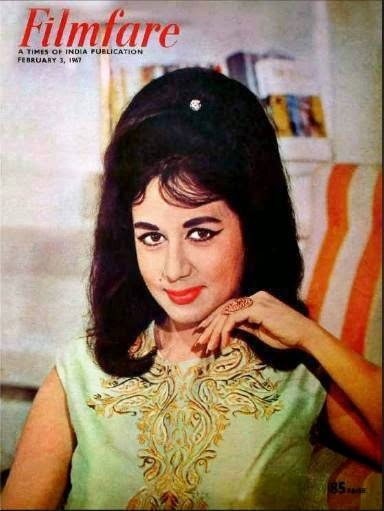 Nanda, is known for her soft performance in notable bollywood films of the 60s and 70s. She acted as the wife of military major played by Dev Anand in the film Hum Dono, where the major died, and another military officer, having resemblance with the major came to her house to give the news of his death. As her mother-in-law was blind and had no other bread-earner, Nanda asked the officer to pretend to be her son, as she was not strong enough to bear the news of his death. It was a very landmark film, with unique story having resemblance with Uttamkumar’s film Uttarayan. Nanda gave very impressive lips in Lata’s bhajan “allah tero naam”, composed by Jaidev in raag gour-sarang. 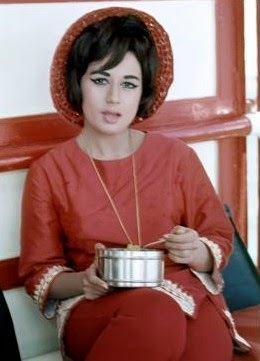 Nanda made the viewers spellbound with her performance in the film Bedaag opposite Manoj Kumar. Her sacrificing role touched the souls of viewers. Nanda was outstanding in Balraj Sahani’s film Bhabhi in 1957. Even before becoming a stylish actress she brought tears in everyone’s eyes in a role relating to joint family where she was always at the mercy of the family members. In the 60s, Nanda had acted in successful films opposite Shashi Kapoor, including Jab Jab Phool Khile, Neend Humari Khwab tumhari, Mohabbat is ko kehte hai, etc. The songs composed in these films by Kalyanji Anandji, Khayyam, and sung by Rafi, Lata, Suman Kalyanpur, were very unique, including “pardesiyon se na aankhiya milana”, “mai yaha ek ajnabi hun”, “theheriye hosh me aalun, to chale jaiyega”, etc. In the film Gumman, in 1965, she transformed her docile image into stylish image and provided landmark performance opposite Manoj Kumar. It was crime-thriller, with 7 murders, and the actual criminal played by Tarun Bose, was detected at the end of the film. Shankar Jaikishan, as usual, had given memorable tunes including “gumnaam hai koi”, “ek ladki ne”, “jaan pehchaan ho”, “is duniya me jeena ho to”, “o mere maan”, etc. Nanda had balaned the strong performance of Helen, Pran, Mehmood and others in the film. In the 70s, she was sublime in the serene performance in the film Shor, opposite Manoj Kumar, where she died, and her son was nurtured with her memory, although the film. The song “ek pyar ka nagma hai”, sung by Lata and Mukesh, composed by Laxmikant Pyarellal has become immortal with passage of time. Jaya Bachhan also performed well in the film. Nanda’s other notable films include The Train, and Joru ka ghulam, opposite Rajesh Khanna, and a familydrama titled Bhabi. She showed her metal even in the eyes in excellent character roles in Raj Kapoor’s film Prem Rog and opposite Tragedy King Dilip Kumar in the film Masdoor. If the films of the 60s and 70s involving soft romantic stories are remembered, Nanda’s performance will be adored as well, as the style of dialogue delivery was soft, unique and impressive. Happy birthday to Abhishek Bacchan. Happy birthday to Reena Roy. Happy birthday to Preity Zinta. Happy birthday to Sonali Bendre. Happy birthday to style icon Hritik Roshan. Happy birthday to stylish star Bipasha Basu. One year passed after Om Puri's demise. Happy birthday to Deepika Padukone. Happy birthday to Vidya Balan.